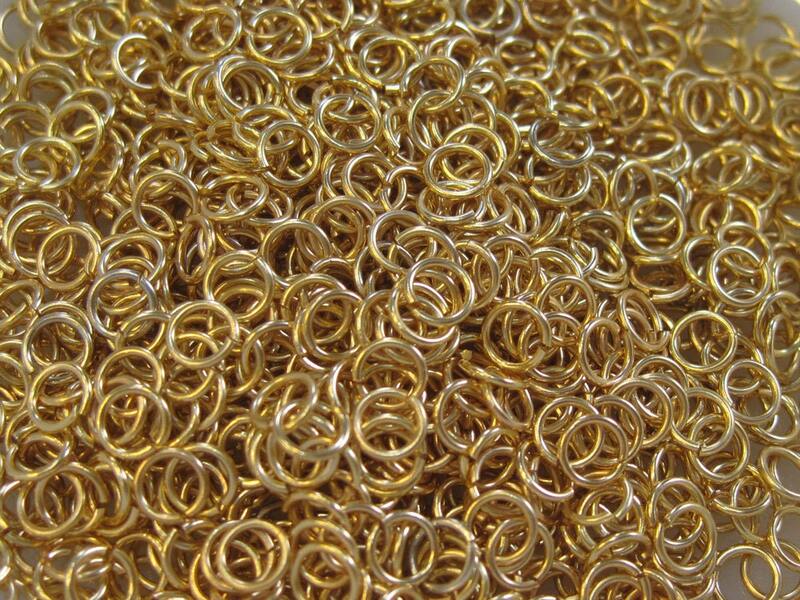 Approx 100 gold plated 4mm OD jump rings, 3mm inner diameter. These are brass base metal, 21 gauge, and are open & unsoldered. Perfect for chainmaille, charm bracelets and more! Lightweight and easy to open. Second time ordering from this seller. They are excellent. I will continue to purchase from SouthPassBeads. Perfect with wonderful customer service. Ultra fast delivery too. A#1 seller. Recommend to all. quick shipping as always. Thanks for the discount coupon!